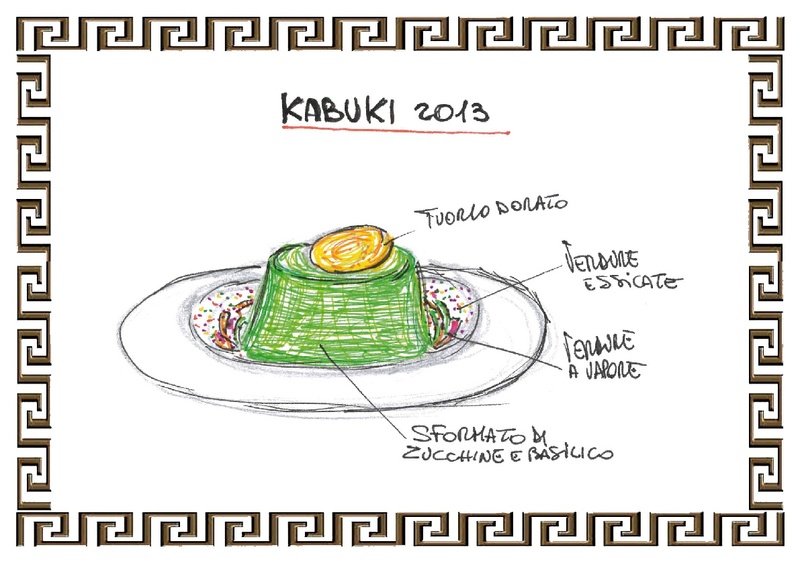 High quality of raw materials, strong bond with traditional dishes but with a constant revisitation in a modern key. 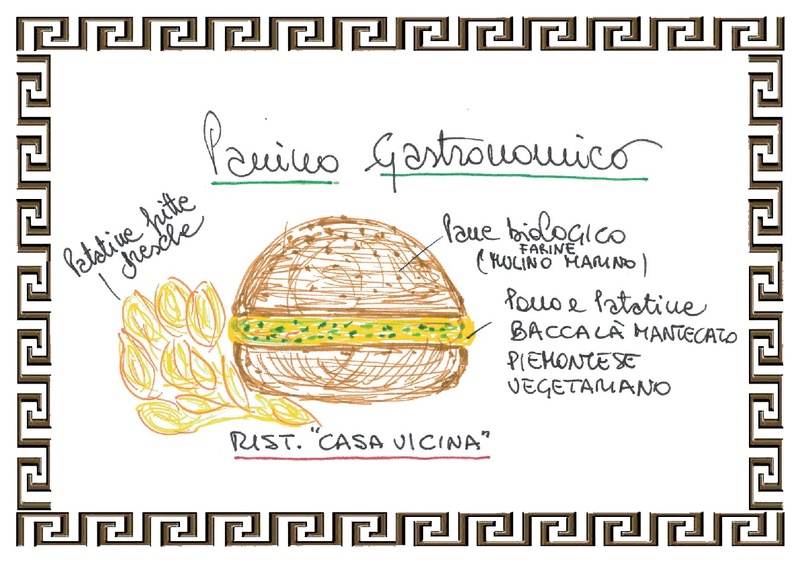 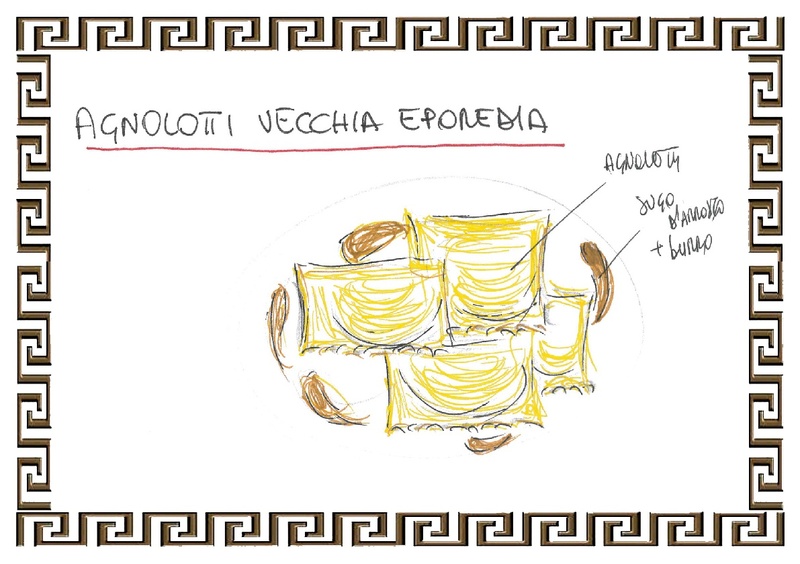 Old and familiar tastes of the dishes are reinterpreted and updated to give new life to the piedmontese recipes . 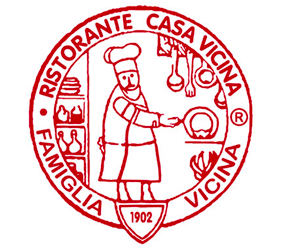 Casa Vicina gourmet experience involves all the senses making an armony between the dishes that are wisely created by Chefs Claudio and Anna, wine pairing and the care of the surrounding by Stefano. 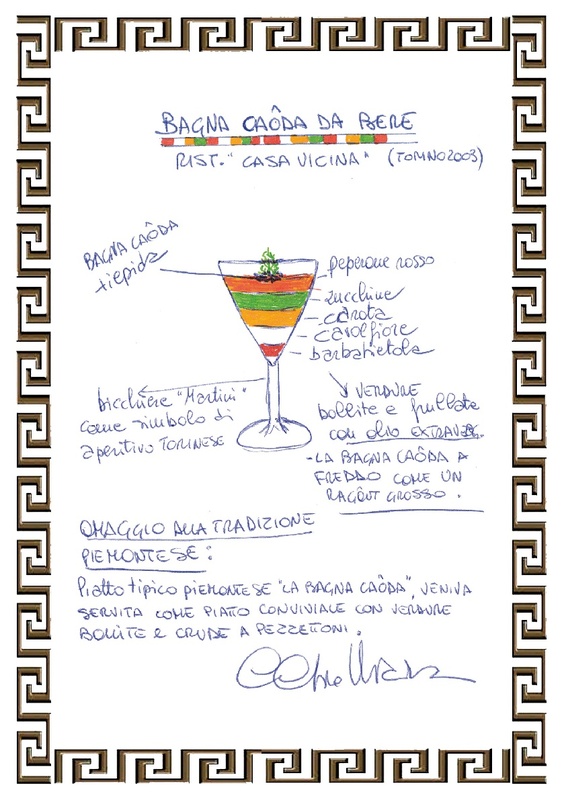 “bagna caoda to drink” was born thanks to a project connected to 2006 Winter Olymnpic Games that took place in Turin. 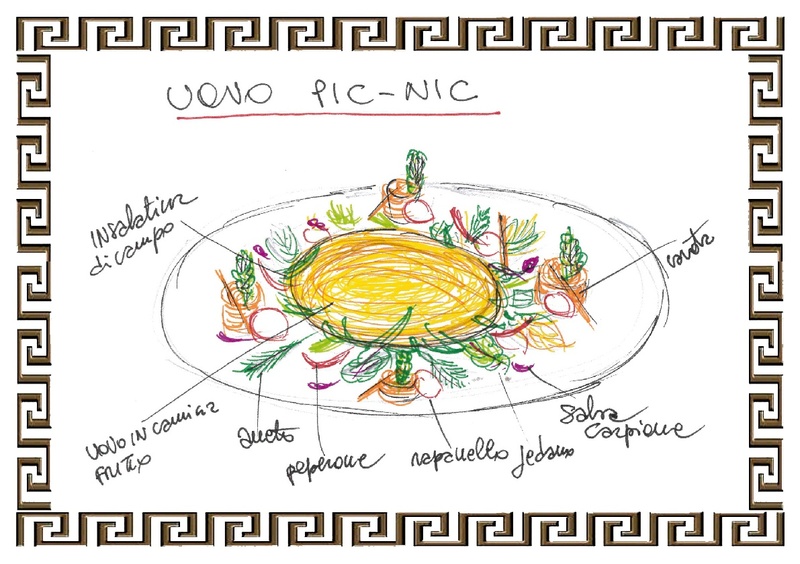 Claudio Vicina took inspiration from the 5 olympic circles recreating them through 5 taste of vegetables. 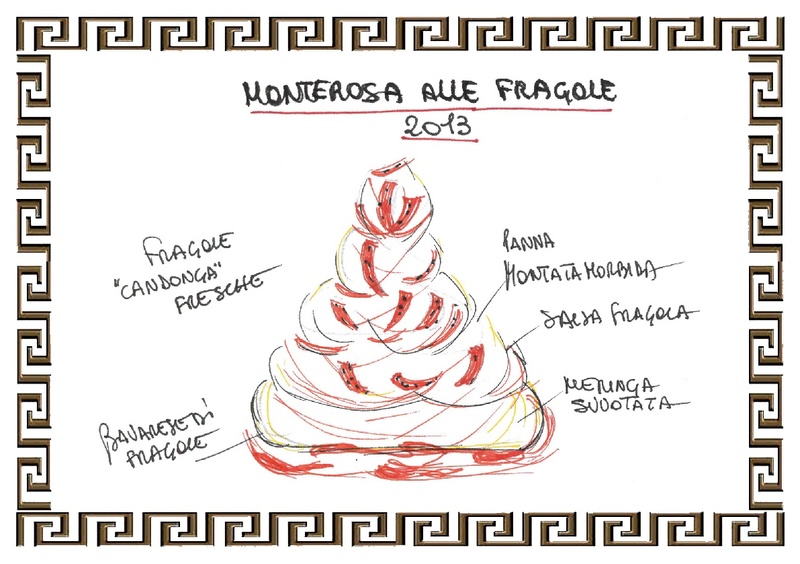 Bagna Caoda is, in this case, proposed in the form of ragù in order to give maximum prominence to the anchovy. 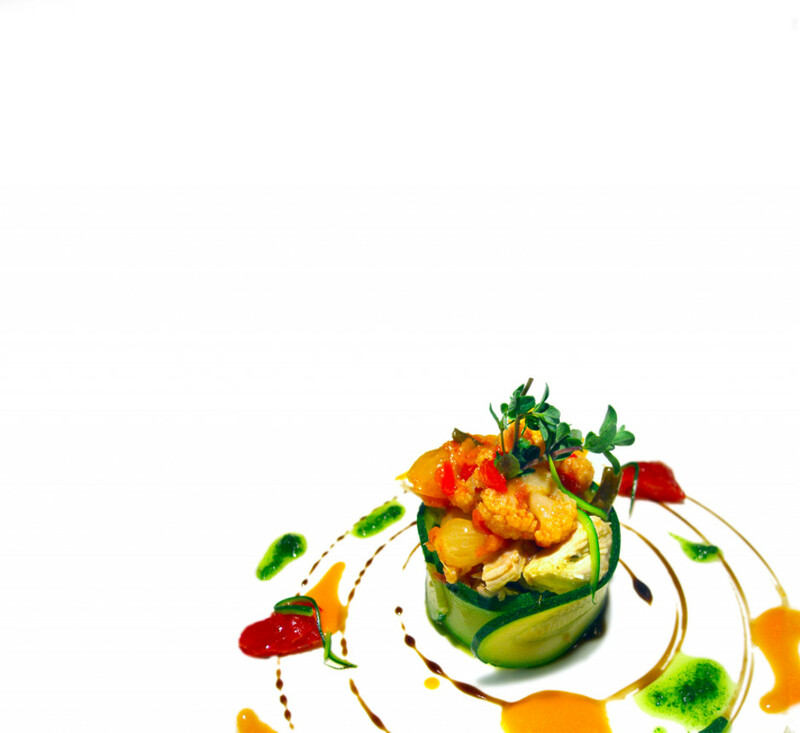 Each vegatable soup is blended with the addition of a little bit of oil: no thickener, it is all natural. 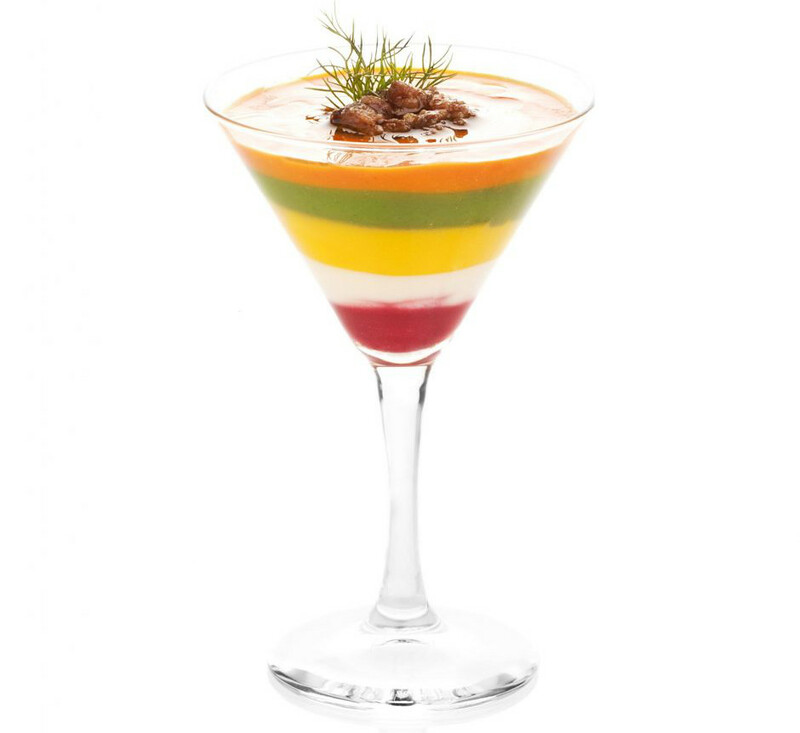 The idea of using the Martini glass is a tribute to the aperitif, born in Turin. 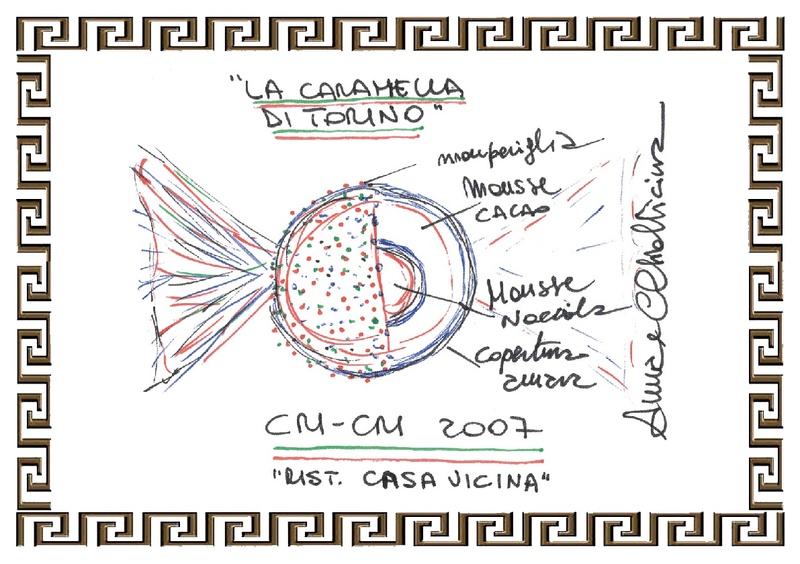 “Rabbit tuna and sweet and sour gardener”, created in 2003, represent not only the union of two classical piedmontese appetizers, but primarly the spirit of the family . 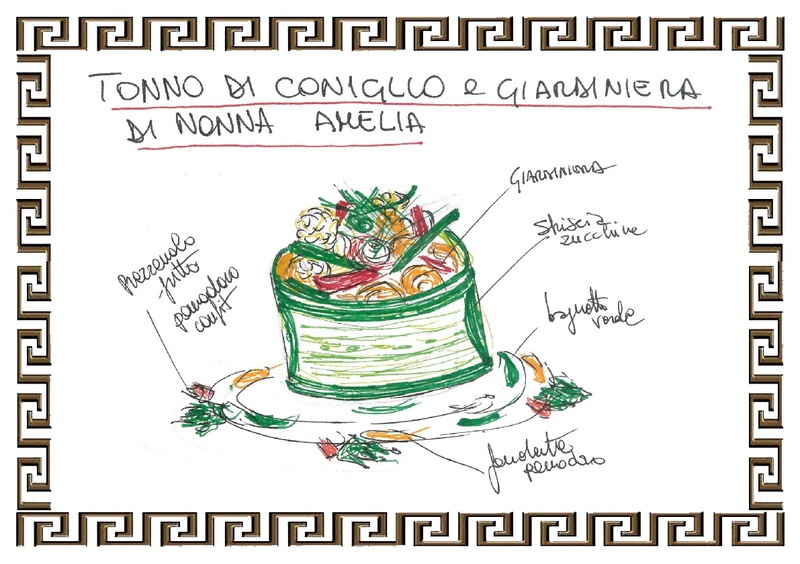 The idea of combining two recipes to make something new took place at a special “round table” with Claudio and Stefano Vicina, their grandmother Amelia and their parents Roberto and Bruna. 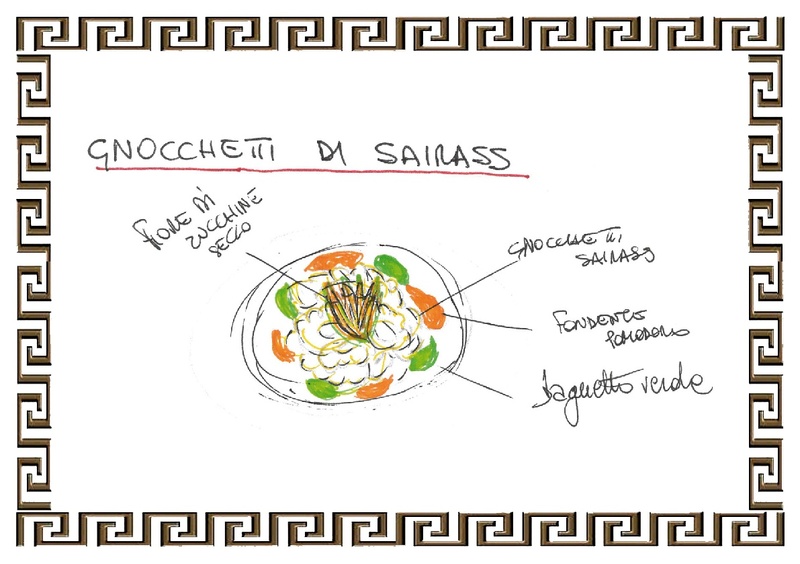 It ia a dish that combines not only taste and creativity but also beauty. 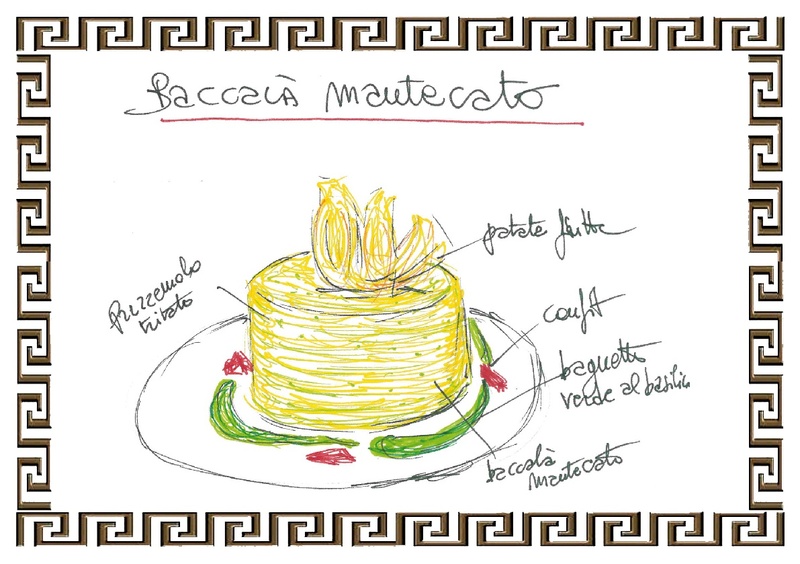 It was immortalized in a famous shot by the photographer Bob Noto and it is part of the works in the photo exhibition “Regine e re di cuochi”. 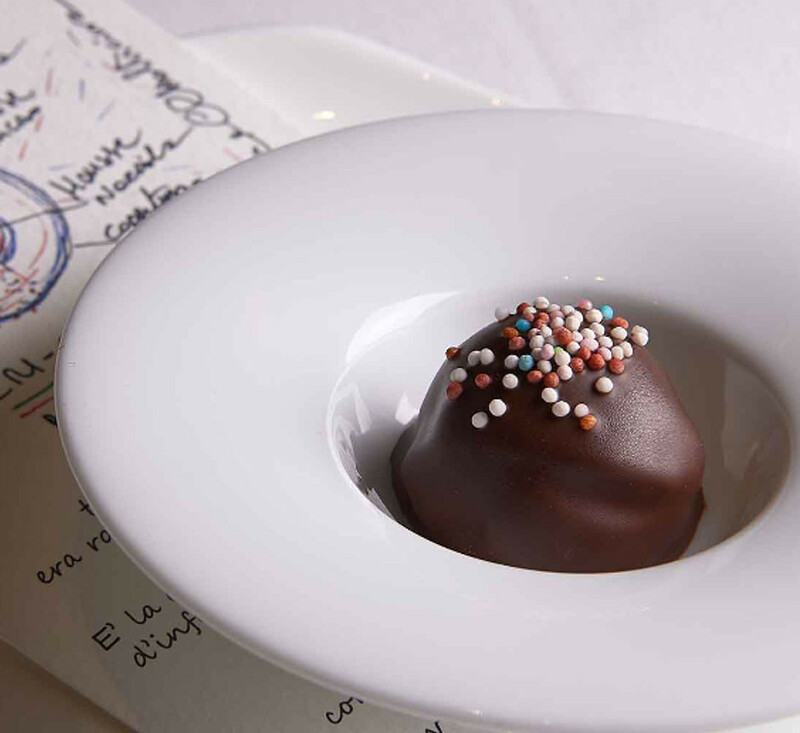 Cri- cri of Casa Vicina, one of the best specialty of Anna MAstronianni, Chef Patissier of the restaurant, are a rivisitation of piedmontese bon bon. 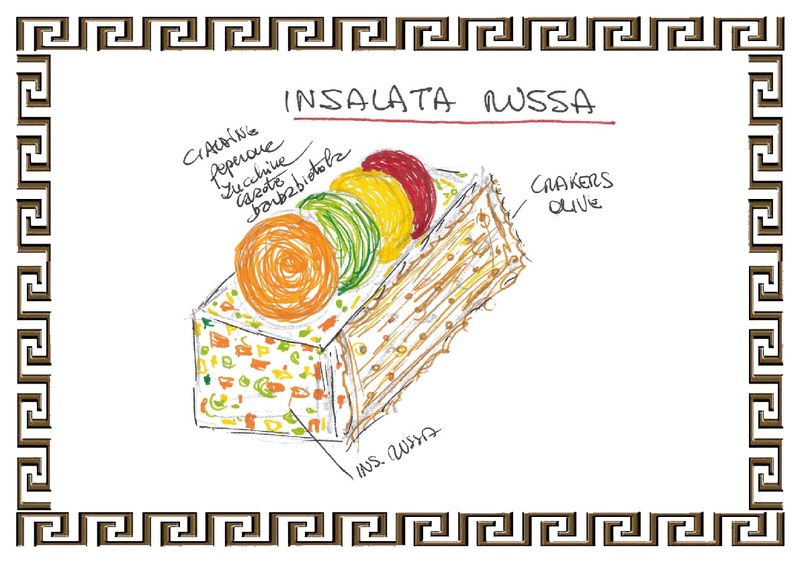 Covered with colored sugared confetti, they hide an hazelnuts and chocolate heart.